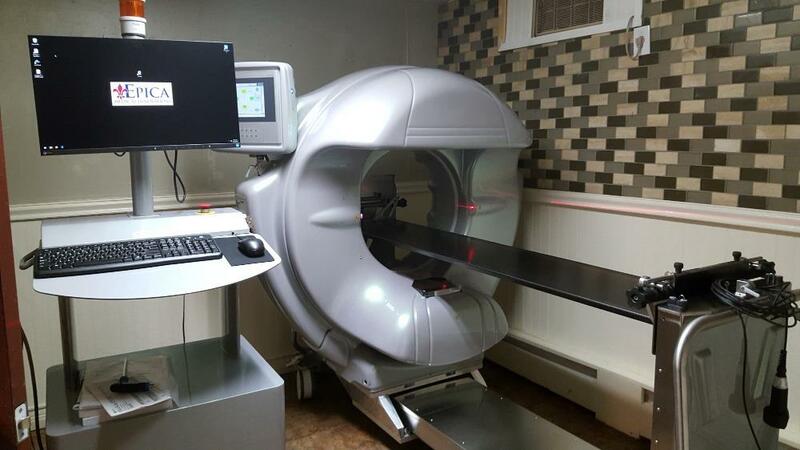 Big River Vet is proud to present our new 3D CT scanner. This short video presentation will give you an idea of what our Vimago CT can do. The Vimago™ imaging platform employs HDVI™ technology, which produces incredibly detailed, 3D images of your pet's anatomy. Vimago™ also has onboard Digital Radiography and Fluoroscopy; which allows us to create real-time, moving, x-ray images to help better enable diagnosis and aid us with surgical outcomes. Vimago™ uses considerably less radiation than other devices, which decreases your pets radiation exposure time compared to other imaging techniques. WHAT IS HDVI VOLUMETRIC IMAGING? HDVI™ (High-Definition Volumetric Imaging) is a new, proprietary and patented imaging technology, similar to CT (Computed Tomography) that provides unprecedented diagnostic and interventional information for clinicians. HDVI™ data can provide resolution as small as 0.09mm (about the thickness of a human hair). Clinicians can see the data in any angle, thickness or orientation. The results are superior diagnostic confidence - and why HDVI™ is the new standard for primary imaging. Interventional Fluoroscopy may be used for: biopsies, endoscopy and more. This patient has 2 herniated discs in the thoracic spine. The images help localize lesions such as herniated discs for surgical planning. We will only operate on dogs less than 30 lbs with surgical disc disease due to the constraints for nursing care on larger patients. Spinal surgery varies from $1800-2200 depending on nursing care and hospitalization.